If those avenues don’t bring you enough to begin, then perhaps a small business loan or an asset based loan is in order. In this case, check with the Small Business Administration, to see what they can offer you. Make sure that you have all of your paperwork in order when you contact them. You’ll need your previous year’s taxes, household accounts, school loan paperwork, and any other places where money is being held up. Also, your car payments, mortgage payments, and insurance payments, all play a role in helping the Small Business Administration determine your eligibility. If this source is lacking in funds, and sometimes they are, then check into the local businesses in the area to find out where they got their funding from. They are usually so proud of their success they won’t mind sharing some knowledge with you. You’ll find that each case is different as to how they were funded, but each one that survived, had a very good business plan in place, first. Some people have planned for years to be able to start up their own business and have set aside money in order for this to happen. No matter where the money comes from, just make sure that you are able to part with it; at least for a time. Once you have recouped the initial start-up cost, start paying yourself back. 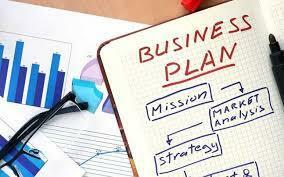 Remember, the most important step of all is to have a good business plan. Know what you are going into business to sell or promote; know your product from A to Z. Know the product, the market, the demographics, and your customer base. Get to know those who are already in the business you plan to promote; bend their ear, and let them talk. A successful business person will give you some pointers as to how they made it big. Doing more listening than talking can land you in the same spot. Bottom line, keep your options open as to where the money will come from. Whether it’s a family member, a trusted colleague, or an old friend, any scenario could be just what you’ve been waiting for, and prove to be the best deal of all.